To make the dressing or marinade whisk together the red wine vinegar, olive oil, parsley, chives, garlic, salt and pepper. 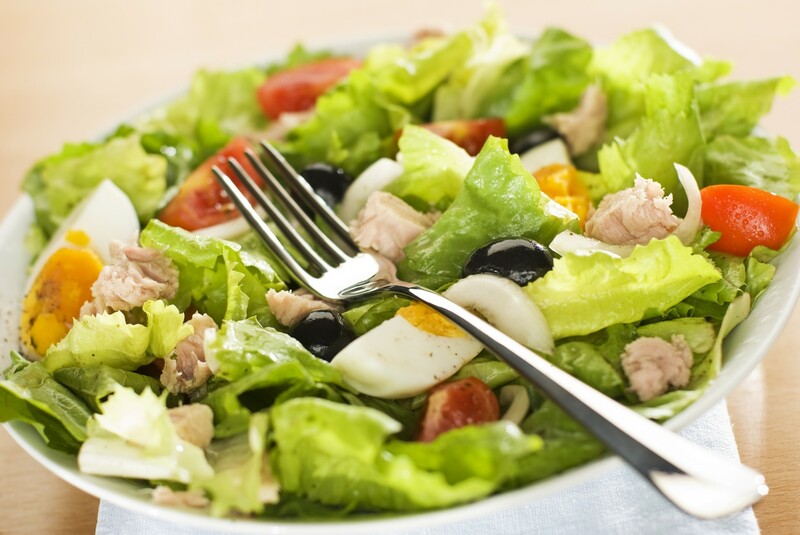 Lay the lettuce leaves onto a large plate and add the lettuce, onion, tomatoes, potato, tuna, beans and anchovies. Drizzle over the remaining dressing then finish by adding the eggs, olives and ripped basil leaves.